The vast majority of our new clients come from referrals, and we believe that this is a testament to the expertise, compassion and commitment we provide our clients with. You’re looking for someone who will dig in and negotiate what you need and want; a true professional who is in your corner with a ton of experience and savvy; someone who will empower you with information to help you make the right decision; someone you can talk to with ease and know it’s all confidential; someone who can make it all look so easy even when things go sideways, because they have the contacts and resources to keep it all together; someone who can make you laugh when you feel stressed out about the process. And yes, I will show up for all our meetings in a suit and tie. Dependable since 1985! View the comments from many of our extremely satisfied clients below. I can't thank Dan enough for all of his help and guidance selling my commercial property. Dan is a true professional who was always available to answer my questions and to guide me along the way. 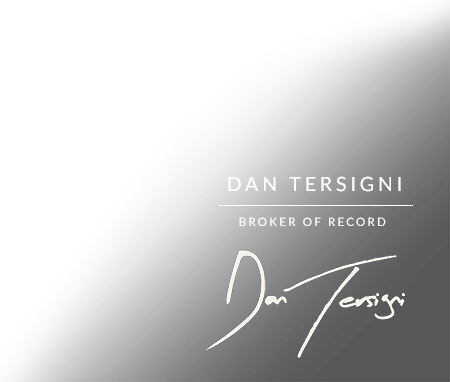 I wouldn't hesitate to recommend Dan Tersigni to anyone looking for a honest, reliable and hard working realtor. We have known Dan for several years now and have always had a great experience with him. We have sold and purchased two homes with Dan and could not be happier with the experience. Dan is knowledgeable and honest and always puts his clients first. Honesty is of utmost importance to Dan. He always listens to his clients needs, and helps his clients through the sale process with the greatest integrity. I would definitely recommend Dan for other clients. An excellent experience with YourWayOut.ca. Twenty years ago, a young real estate salesman knocked on our door. All that happened was, if we become interested in selling, "keep me in mind". At that time, we also chit-chatted about the area and possibilities of upgrading. The rest is history. Our house was sold and he found the perfect house for us. I thought that was the end. We were happy, he the same. I find it incredible that our relationship has continued for over twenty years, with monthly phone calls just to say "hello", helping our kids find houses and helping us sell our condo unit. The honesty, caring and integrity displayed has certainly made our business transactions together a real joy. From the moment we started looking for our home, we knew we wanted Dan as our realtor because of the loyalty and honesty Michael previously experienced with him. This time around, with no surprise, Dan exceeded our expectations. When Dan found out Michael was interested in purchasing a home with someone this time, Dan thought it was only fair to get to know me. After developing a list of both of our wants and needs, he helped us with our search, and was determined to find us our perfect home. Soon after, we made a deal! From our process, we don't just look at Dan as our realtor, but now as a friend. Thanks for everything Dan! We would like to express our deep appreciation and gratitude for all you did to help us through our house-buying process. Your very high level of expertise, knowledge and professionalism were why we wanted to work with you, but we were also grateful for your warmth and heartfelt friendliness. We are firmly convinced that we got the best representation from initial step to final closing date. Thank you very much for all the guidance and many little extras that you provided. If our future ever holds a relocation situation, we would undoubtedly use you again as our agent. We would highly recommend you to anyone and feel good about having has such a positive experience. A sincere “thank you” for your recent involvement in the listing and successful sale of the property and house owned by us. It is obvious you have made an in-depth study and are very knowledgeable of the “rules, by-laws and market values” applicable to this area. Any questionable issues relating to by-laws etc., were actively pursued by you. Your constant contact and updating of activities relating to the sale left us with the comfortable feeling that every effort was being made on your part for a successful transaction. Again Dan, thank you. We have unhesitatingly passed your name on to others and would not hesitate to do so in the future. Wishing you continued success! Just a short note to say thank you for finding our house, you made the move from England go as smoothly as possible, we would also like to thank you for the help and advice you have given us since moving here, and would always recommend you to our family and friends. Dan Tersigni sets high standards for himself and achieves or surpasses those standards in every way. He is extremely professional and yet we received his personal attention to every detail during our recent house sale. Dan is congenial with a great sense of humour, is very thorough and explains everything very clearly. He spent a lot of time with us and the entire process was actually a very enjoyable and rewarding experience. 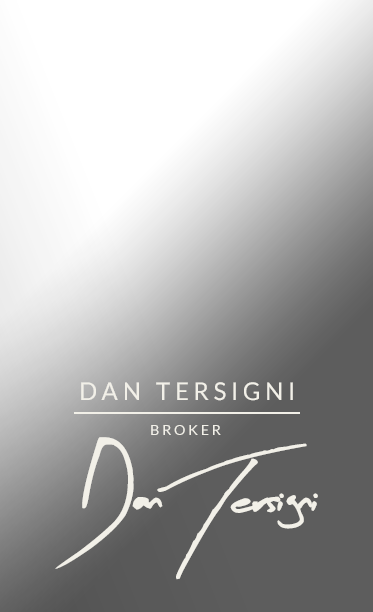 We highly recommend Dan Tersigni for all of your real estate needs. CLICK HERE VIEW A COMPLETE LIST OF MANY MORE TESTIMONIALS! 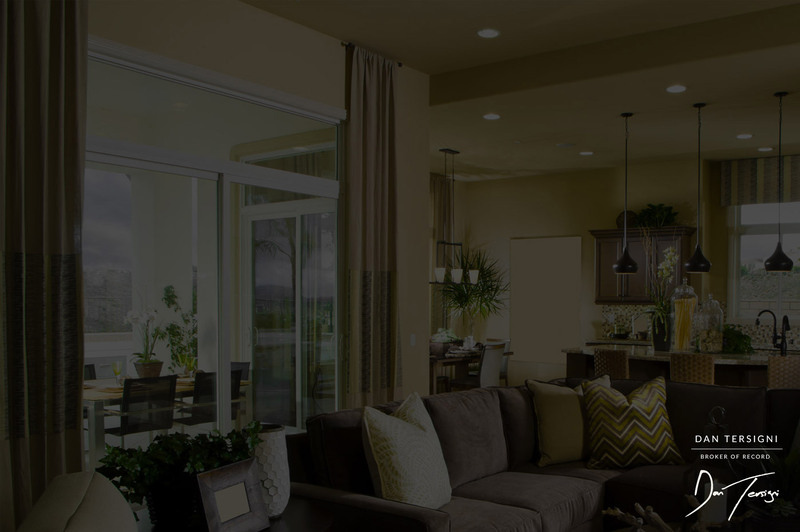 Click here to view our Links & Calculators page, filled with helpful resources designed to simplify the buying or selling process.